I always had trouble with that one. How could it really hurt you more than it does me!? 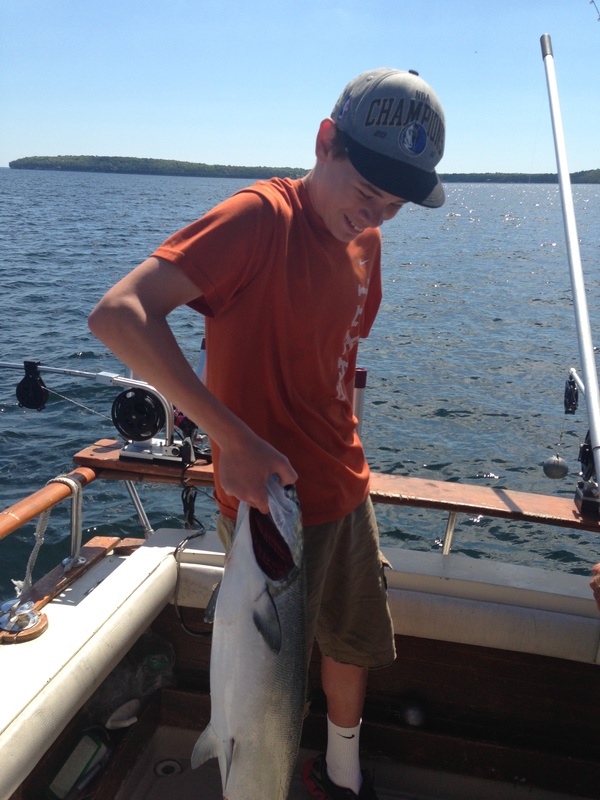 Today, only 2 fish were caught – but one of them was a 22-pound salmon hauled in by my 13-year-old son. I don’t think that smile is going away anytime soon. (His, or mine). The day was all he hoped for and had dreamed about – and that made it a complete one for me. Coming home empty handed would have hurt him, but, quietly, I would have suffered more – with him, for him. But alas, it was a day for joy! Does watching God’s children at play make God smile, too? Or even laugh? I pray that, as long as I have breath, I can look at the photo above and grab onto part of the joy of today – reliving it. I want to keep drinking from the cup. If you have children – or maybe even if you don’t – then perhaps you understand. A feeling only a parent can understand! How blessed you are! !